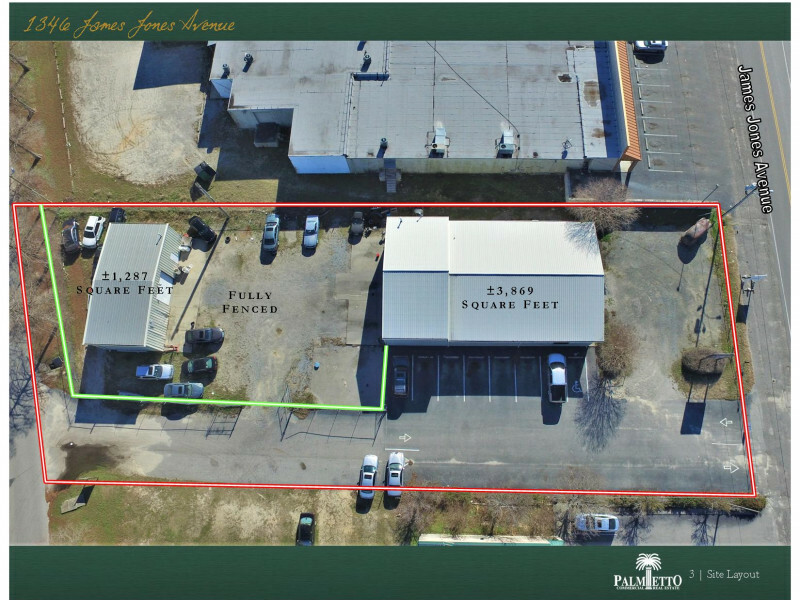 This former automotive service facility consist of two metal insulated buildings on ±0.761 acres off of James Jones Avenue in Florence, SC . 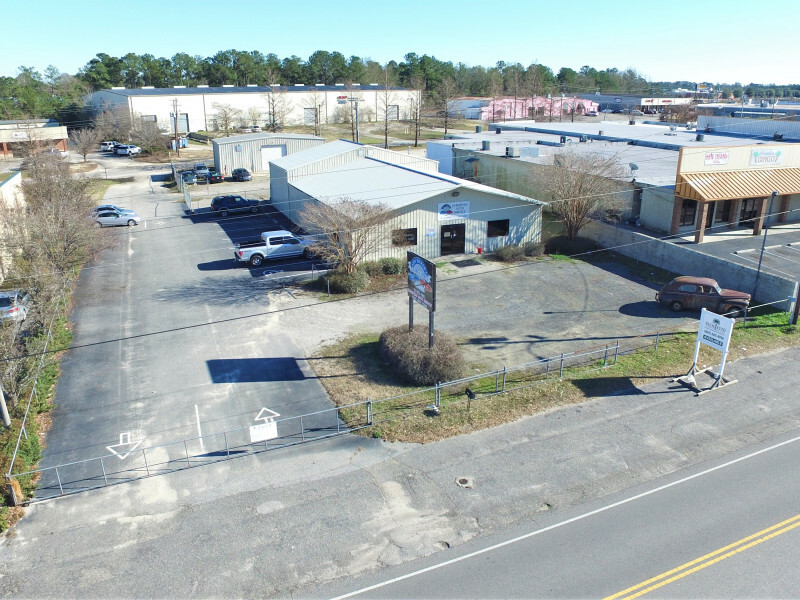 The front building facing James Jones Avenue is approximately 3,869 square feet with showroom, sales counter, parts room, private office, service shop with 3 roll up doors. The rear ± 1,287 square foot shop has a large roll up door, restroom and gas heater. 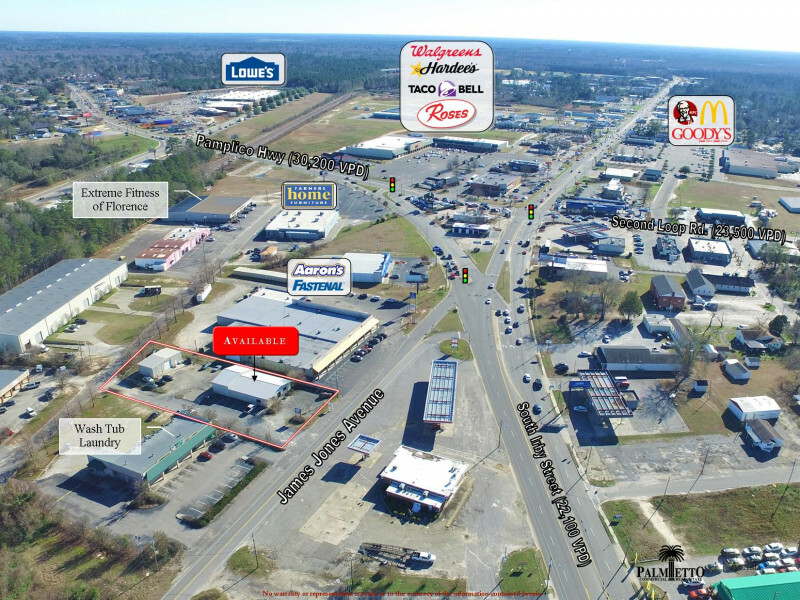 This property has ingress and egress on both James Jones and South Meadors Farm Rd.